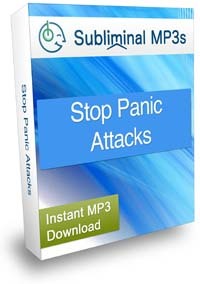 Stop panic attacks today - tap into the source of the problem; your mind, with the power of our life changing panic attacks treatment subliminal audio album. Imagine how different your life would be if you didn't suffer from panic attacks - the relief you would feel, the freedom it would give you, and how you could really start living your life to the full! This does not have to be a fantasy. With our album you can make changes deep within your subconscious mind to put an end to your panic attacks and get your life back. Our album works as a mild form of hypnosis, and it gradually makes changes to your inner thought patterns without your conscious knowledge. 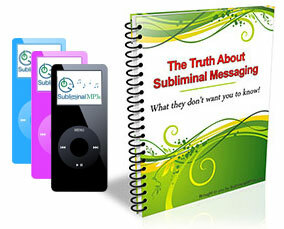 Over a short to medium time frame it will completely rewire your subconscious mind. The difference between yourself and someone who is free from, or who has never suffered from panic attacks is in the way your minds are wired. Whereas you have one view of difficult tasks, stressful events, social situations, or chaotic new situations they see them in a completely new light. You get nervous, anxious, and panic, they on the other hand enjoy the pressure, view things as a challenge, and actually enjoy these experiences. Our album works to rewire your mind so that you think in this way too, so that your "panic attack triggers" gradually evaporate and you stop suffering from panic attacks. Change your perception of situations which currently trigger your panic attacks. Help you remain calm at all times generally, but especially when under pressure, or in new situations. Change your self perception on a deeper level. You will start to see yourself as more confident, outgoing, and capable of handling any situation. Make you feel calm and in control of your body and mind at all time. Help you to stay calm when it really counts - to be able to control your breathing and physical reactions to stress and anxiety. This album can be used either when you are feeling the early signs of panic, or when you are stressed and worried about a future event or situation you have to go through and are worrying about panicking. As you use the album your perceptions and beliefs will change and you will be able to handle the situation much better. With longer term use over a few weeks you will notice yourself calmer and much more relaxed in all situations, and notice a real reduction in your levels of anxiety. Get this album today and start rewiring your mind on a deep level to make improvements to all areas of your life!